Me Time....: My new shoesies! I found these bad boys in George, Asda and I fell in love! I'm not normally a flat pumps sorta girl because I get paranoid that my feet look too big! 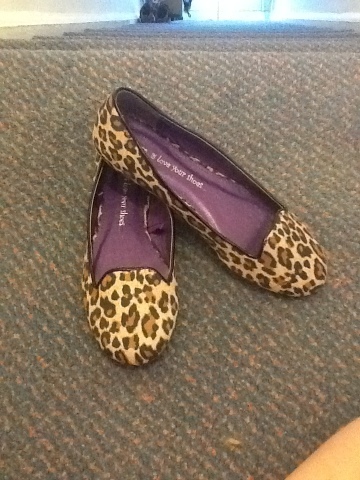 However I faced my fears and purchased these cute leopard print flats for only £10! Sorry for poor quality I'm using my iPad to blog and take pics! Ooh i love these shoes! I really like your blog and am now following!